I do not see how astronomers can help feeling exquisitely insignificant, for every new page of the Book of the Heavens they open reveals to them more and more that the world we are so proud of is to the universe of careening globes as is one mosquito to the winged and hoofed flocks and herds that darken the air and populate the plains and forests of all the earth. If you killed the mosquito would it be missed? 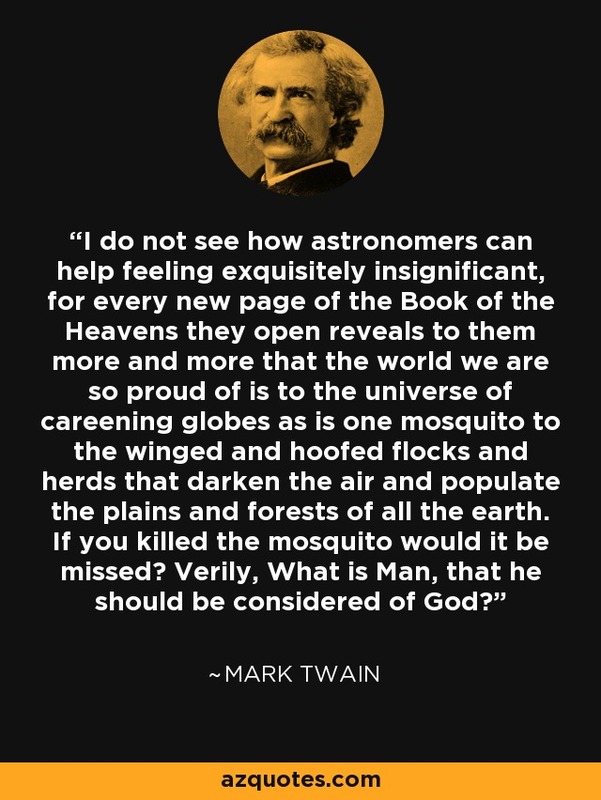 Verily, What is Man, that he should be considered of God?